California’s housing market experienced a modest boost in 2015 over the previous year. Home sales volume increased about 9% over 2014, with roughly 39,000 more homes sold in 2015. For historical perspective, 2015 is about level with 2013, a year when speculator buying greatly increased sales volume, and about 300,000 — or 40% — less than the number of homes sold in 2005 during the Millennium Boom’s peak. Home prices also increased in 2015, ending the year 7%-10% higher than the same time at the end of 2014. Prices increased more quickly in low-tier homes and less so in high-tier homes, continuing the bumpy plateau sales volume experienced throughout this long recovery. Construction across California continued to recover in 2015, but at a reduced pace. Single family residential (SFR) construction starts rose by 10% over the previous year. Multi-family construction rose by 20% over 2014. This is an impressive recovery for multi-family starts, which experienced the best year since the multi-family boom of the 1980s. However, SFR construction starts still have much room for improvement, currently experiencing only one-quarter of the construction pace of the Millennium Boom. Going forward, expect history to repeat itself. In the 1980s, the Baby Boomer generation produced high demand for multi-family rentals as they graduated and finally found jobs. This environment fueled the boom in multi-family construction. In the following decade, their desire to trade up for SFR housing fueled the late 1980’s and l990’s boom in SFR construction. Now, the children of the Baby Boomer generation — Generation Y (Gen Y) — are finally coming of age, albeit belatedly in the aftermath of the Great Recession. As Gen Y moves out of dorms and parents’ basements and look for apartments to rent or buy at a reduced cost near urban employment centers, multi-family will continue to outpace SFR construction, swelling to a peak around 2020.The shift from apartments to SFRs for Gen Ys will then create vacancies in apartments, as occurred in the early 1990s. 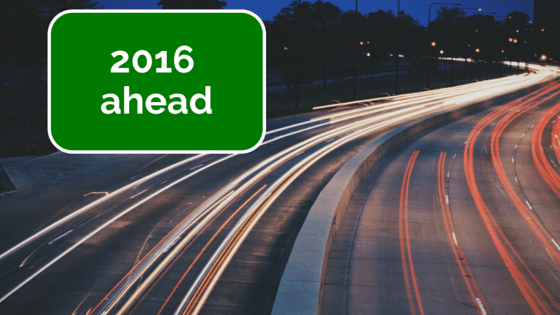 How will home sales volume and prices likely fare in 2016 and beyond? Sales volume is likely to continue its rise through the first part of 2016 as job numbers continue to grow. But this growth will be short-lived, to fall back in the months following the inevitable FRM rate increase. The FRM rate rise is likely to occur after mid-2016, thus sales volume will likely slip in the second half of 2016. Anticipate prices to continue to rise slightly throughout 2016. However, after home sales volume trends down due to the FRM rate increase, expect prices to follow within 9-12 months. Absent other extraneous factors (like rampant speculation, as occurred in 2012-2014), prices follow home sales volume movement axiomatically. Strategic defaults and bankruptcies will rise slightly heading into 2018, as occurred during the mid-1980s and mid-1990s recoveries when the Fed raised rates for the first time in those recovery periods. The good news for sellers — not buyers — is home prices won’t stay down for long, despite interest rate increases. The jobs recovery will give home sales a needed boost in 2018, which will cause prices to begin rising again around mid-2018, first led by returning speculator acquisitions, then end user occupants. Increased construction starts will fill user demand for more housing in coastal city centers. Rents and prices will then rise dramatically with demand centered in urban areas close to the best-paid employment, but less so in inland regions. Smaller coastal cities will likely fail to lift zoning restrictions on much needed high-density, high-rise multi-family starts driving Gen Y to other communities. Members of Gen Y will enter the rental and homebuying market en masse; in a demand convergence, their Baby Boomer parents will continue to retire in increasing numbers, selling and buying rather than renting. Home inventory for sale will be tight without new zoning and construction, causing prices to rise. As a result, new real estate licensees will flood the market, large broker firms adding sales agents to match the cyclically higher sales volume. Flying into all this excess, the Fed is likely to induce the next business recession. The hope is the Fed won’t let the economy get too out of hand before acting to cool it off, and risk another Great Recession and zero-to-negative interest rates. Keep an eye on foreign investors in your local real estate market. The global upheaval makes the U.S. a very attractive place to invest, but the strong dollar makes it difficult for foreign investors to enter the U.S. dollar-dominated asset market. Watch for interest rates increases. While the short-term rate began to increase in December 2015 and immediately affect ARM rates, first tuesday expects FRM rates to increase later, after mid-2016 due to investor movement. But no matter when FRM rates do rise, prepare for sales volume to decline and prices to follow, albeit briefly. Stay informed on movements in your local jobs market. While influenced by global and national economics, real estate is significantly a local phenomenon. Therefore, future housing market movement can be foreseen in improvements (or failures) in the quality and quantity of employment immediately available to the local population.